The U.S. Patent and Trademark Office on Thursday published a peculiar Apple filing describing an ad service that targets users based on hard-to-quantify metrics like behavior and mood. 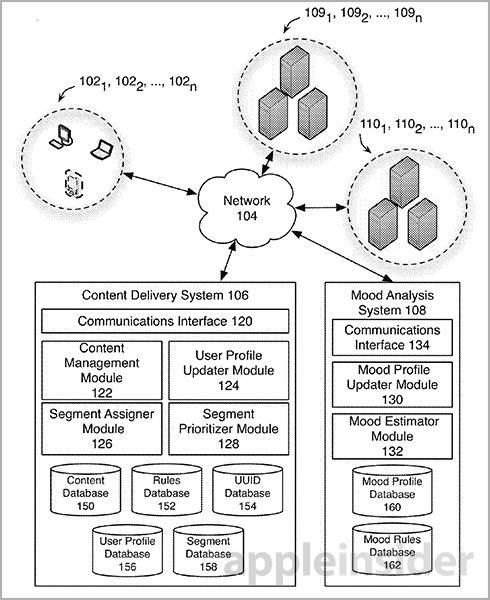 Apple's "Inferring user mood based on user and group characteristic data" patent application looks to offer advertisers and content providers a more intuitive and effective way to target users. As noted in the document, a user's responsiveness to targeted content delivery —advertisements —can be affected by any number of factors. Among these are location, time of day, current activity and mood. Apple wants to leverage user mood and mood-associated characteristic data to provide a more accurate method of ad targeting. In addition to mood, the system takes into account user demographics, behavior, location, time, how the ad is served, the package contents and more. According to the filing, the system analyzes mood data collected over a set period of time to generate a "baseline mood profile" for a user. By comparing a user's mood-associated data against various "mood rules," the method can infer how a user is feeling at a given moment and subsequently serve up an appropriate ad. Described by the filing, mood-associated characteristics can be physical, behavioral or spatial-temporal. For example, heart rate, blood pressure, adrenaline level, perspiration, body temperature and vocal expressions may all be used to determine a user's mood. Behavioral cues include type of media is being consumed, the sequence in which apps are launched and social networking activities, among others. Time and location data can be used to infer mood by comparing it with stored mood-associated characteristics. In some embodiments, mood is gauged by a camera which, when used in tandem with facial recognition software, can measure facial expressions. On the backend, a database consisting of a user's profile is automatically updated based on a set of rules instituted either by the user or the system. Pieces of the profile may be revised as needed based on learning algorithms that tap into external data like iTunes registration and usage information. Once user mood characteristic data is gathered a mood can be inferred based on a set of predefined rules. These rules act off a user's baseline mood, which is applied on a per-user basis. For example, one user's baseline may be happy, while another user is sad. Based on the current inferred mood, the system determines how likely a user is to interact with a given ad and serves up mood-appropriate content. At this point, a segment assigner module applies a set of user characteristics to a given ad before pushing it out. For example, the document notes content will be sent out if a user meets the following criteria: "gender, male; age, 19-24; location, Northern California or New York City; mood, happy." The patent filing goes on to explain the system in exhaustive detail, including rules to be applied to user data to estimate and infer moods, baseline mood analysis and tagging, data collection systems and more. Apple dedicates a part of the property to address privacy concerns and states the information gathered should not be used for nefarious purposes. The system is meant to enhance user experience by serving relevant ads while at the same time providing advertisers with more effective distribution tools. With the U.S. grappling with privacy issues brought to the fore by recent revelations regarding the NSA's surveillance policies, it is unlikely that Apple's invention will be applied anytime soon. 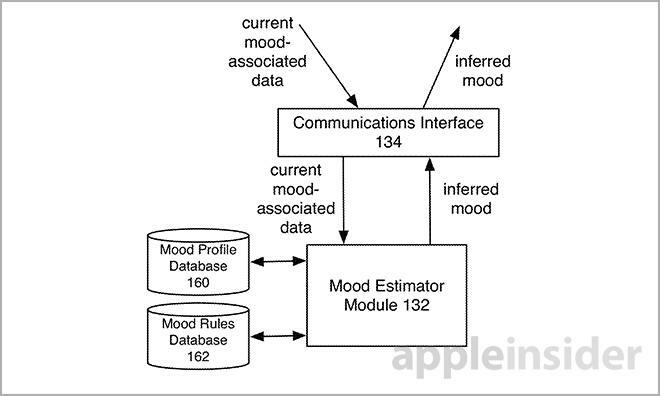 Apple's mood-based ad system patent application was first filed for in 2012 and credits Michael Froimowitz Greenzeiger, Ravindra Phulari and Mehul K. Sanghavi as its inventors.